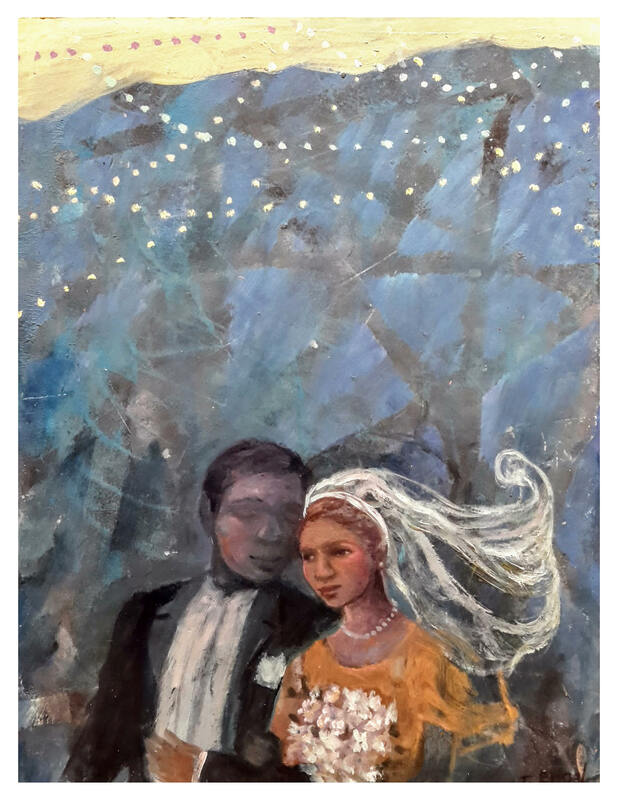 "Wedding Day" is a small original Oil/Mixed-Media painting on Monotyped paper mounted on wood with archival glue.. 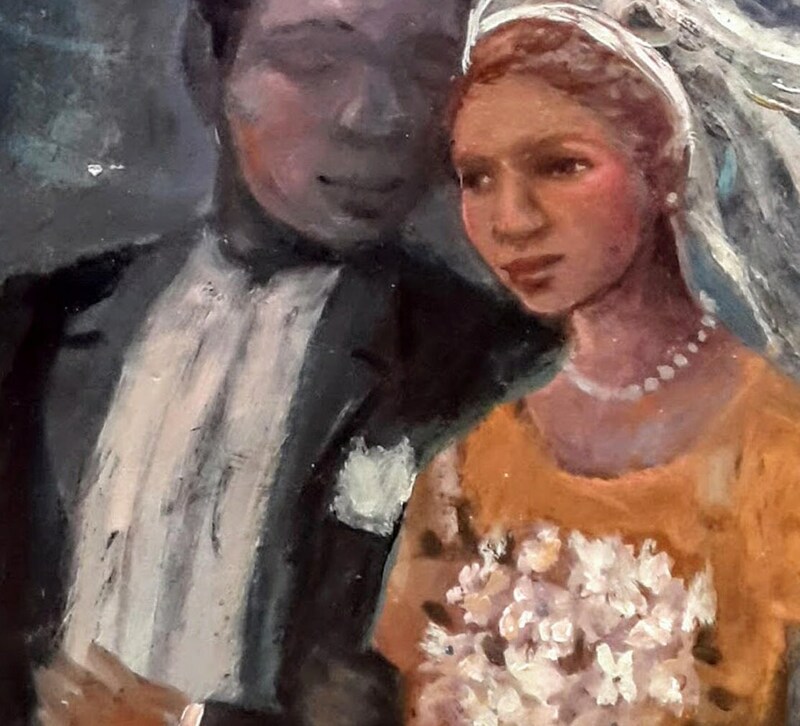 It celebrates the union of two people and their wedding day. Available in Print on Paper and Canvas.